Professional community members are walking visuals of what students inspire to become in the future. 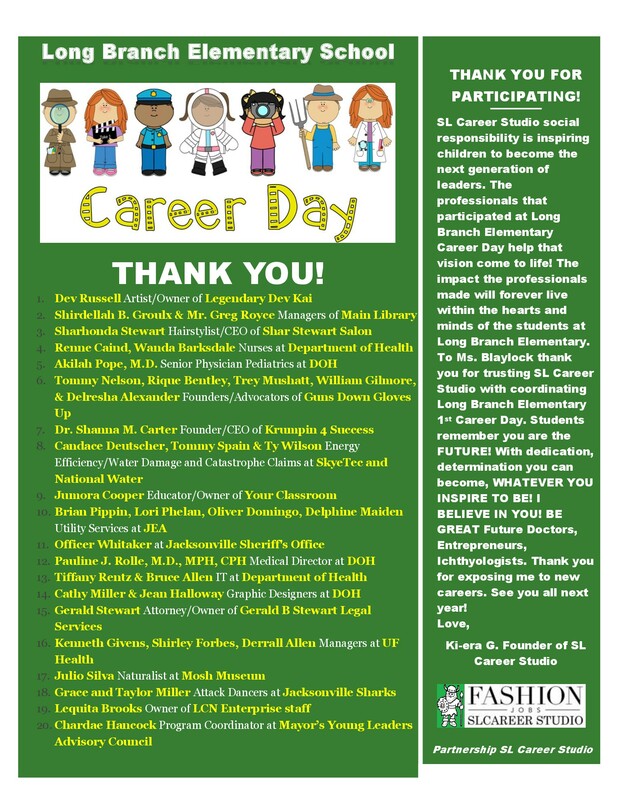 Career Day bring together the BEST professionals in the City of Jacksonville to motivate students to become the next generation of leaders. The organizations had the opportunity to interact with 3rd-6th grade (205 students). The students rotated in groups of 5 to each organization table. The professionals had activities, and giveaways for the students.